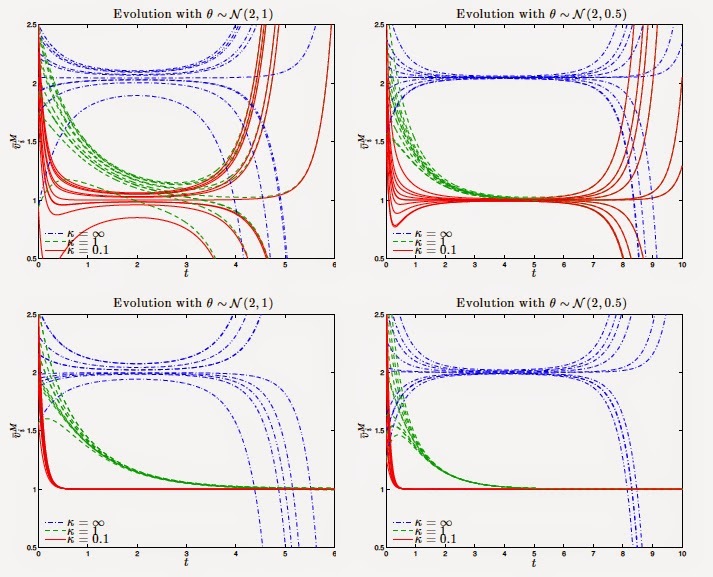 In this paper the optimal control of flocking models with random inputs is investigated from a numerical point of view. The effect of uncertainty in the interaction parameters is studied for a Cucker-Smale type model using a generalized polynomial chaos (gPC) approach. Numerical evidence of threshold effects in the alignment dynamic due to the random parameters is given. The use of a selective model predictive control permits to steer the system towards the desired state even in unstable regimes.